I am very well acquainted with Gantenbrink’s work, and suffice to say he couldn’t be more wrong about how the Great Pyramid was designed if he tried – the structure’s architect simply did not, repeat did not, use a grid. Gantenbrink is only useful when it comes to details of the enigmatic shafts in the GP’s King’s Chamber and Queen’s Chamber. BTW, the latter were never intended to reach the outside of the Pyramid – where they now end is where they were intended to be from the outset. I have done so – many times. I am very much opposed to the view that meters and inches were used in the designing of the GP. Incidentally, your comment, ‘You gotta think in cubits.’ should read: ‘You gotta think in Royal Cubits.’ The ‘cubit’– often referred to as the Standard Cubit - is a different unit of measurement. 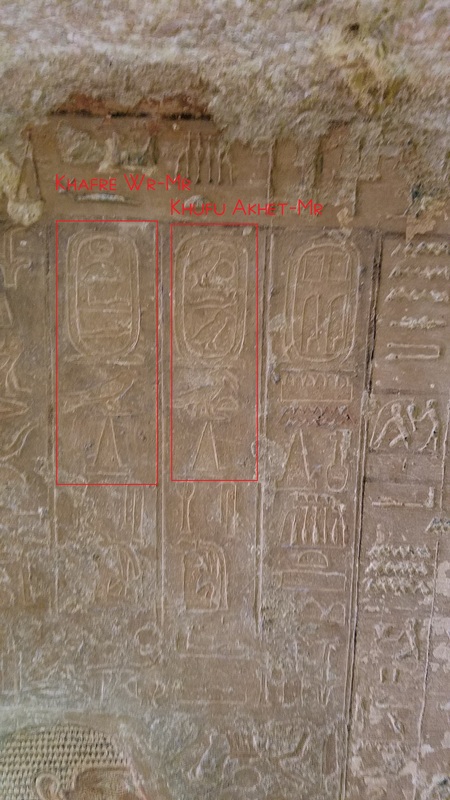 You wrote, ‘I merely use the term Khufu Akhet to make the point that G1 is not the Great Pyramid as is widely stated, at least not in the view of an Old Kingdom scribe and priest overseer buried right next to it. Hmm, you’ve lost me, I’m afraid. You wrote, ‘Also, we cannot be sure that the below-ground features were made in the same era as the super-structure. They were certainly designed last of all, and the excavation was abandoned twice – witness mainly the Grotto and the Well Shaft.